Our Late Model chassis has been re-designed in 2015. The result is a lightweight, rigid chassis that has proven to be very fast and easy to set up. The main roll cage structure was moved forward to allow for better balance, body fit, and longer trailing arms. The front clip has slotted upper and lower control arm mounts. The chassis can accept swing or floor mount brake pedal assemblies. 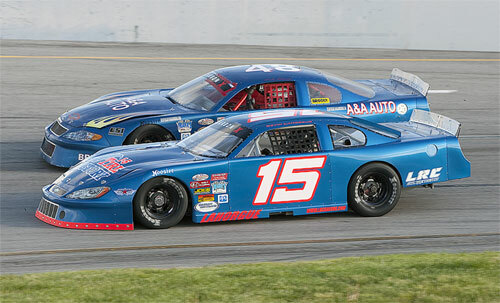 We offer our Late Model chassis in either offset or perimeter designs.